Medical negligence occurs if the treatment provided with a health service provider such being a hospital, doctor, dentist expressionist, pharmacist etc are falls bellow a satisfactory standard. 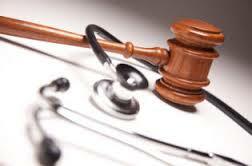 Medicine is usually a complicated practice and health agencies are not required to be perfect. Therapy in sometimes become unsuccessful and injuries can occasionally result. But it does not necessarily mean that there has been any negligence. Negligent treatment is that which goes beyond like a simple reasonable mistake or error.